As per transparency law, the people have the right to know the details of appointment to a public position, from the President to an ordinary clerk in a government office. Appointment and information related to recruitments in public offices needs to be in public domain. If hundred persons are called for an interview and ten of them are selected, the public authority informs the selected so that they join the duty. In the same way, the public authority has a duty to inform those who are not appointed and the reasons for the same. If the rejected candidate or any other person wanted to know how some were selected while other were rejected, this information needs to be furnished. “In order to reduce the number of RTI applications relating to service matters, the information relating to recruitment, promotion and transfers should be brought to public domain promptly.” Section 4(2) RTI Act, says: It shall be a constant endeavour of every public authority to take steps in accordance with the requirements of clause (b) of sub‑section (1) to provide as much information suo motu to the public at regular intervals through various means of communications, including internet, so that the public have minimum resort to the use of this Act to obtain information. Recently the Centre has refused to share details related to the appointment of RBI Governor Shaktikanta Das, in response to an RTI request. The government has cited a clause in the transparency law which bars disclosure of information, including “records of deliberations of the council of ministers, secretaries and other officers”. Shaktikanta Das was on December 11, 2018, named as the Governor by the Appointments Committee of the Cabinet headed by Prime Minister Narendra Modi, after Urjit Patel abruptly resigned amid a face-off with the government. The RTI application also sought details of any advertisement or vacancy circular issued by the government for appointment of RBI Governor, names of all applicants who had applied for the post and those short-listed. The transparency law which bars disclosure of information, also says that the decisions of Council of Ministers, the reasons thereof, and the material on the basis of which the decisions were taken shall be made public after the decision has been taken, and the matter is complete, or over. Reacting on the appointment of Das’, Indian-American economist Abhijit Banerjee flayed the government for appointing the retired bureaucrat as RBI Governor. He also warned that the decision leaves a lot of “frightening” questions about governance issues at key public institutions. Immediately after this appointment, BJP leader Subramanian Swamy in December 2018 alleged that Reserve Bank of India Governor Shaktikanta Das was involved in corruption and termed his recent appointment to the top post a “surprise”. Swamy, however, did not give any specific details about the “corruption”, an allegation he had made in the past as well. In an interactive session at the Indian School of Business (ISB) in Hyderabad, Swamy said: “The new Governor of (RBI) is highly corrupt. I got him removed from the (Finance Ministry). I am calling Shaktikanta Das as a corrupt person. I am surprised that the man I got removed from the Finance Ministry for corruption was brought in as the Governor. He (Das) was removed from the Finance Ministry because he tried to interfere in my corruption case against (senior Congress leader) Chidambaram. He is Chidambaram’s ‘chela’ (disciple). When he was in Chennai, he was involved in a lot of corruption,” Swamy said. When reporters asked Swamy who he thinks should head the RBI, he named: “Professor R Vaidyanathan, former professor of Finance, Indian Institute of Management, Bangalore, would have been much better. He is also (an) old Sangh man. He is our man”. When an economist and ruling party MP and another noted economist question the appointment, a citizen has every right to know the information on the file of appointment about that person. The process of appointment to such an important position which is a public office, entrusted with the constitutional responsibility of regulating all the banks both private and public,the government has a duty to place entire process, with file notes and other documents that show what was considered to prefer the incumbent to others. Transparency in appointments is the first step to fight against corruption and that is the best practice of good governance. While the government is refusing to give information about the appointment of chairman of the RBI, the RBI under the leadership of Chairman is refusing to disclose under RTI Act. Girish Mittal and Subhash Chandra Agrawal have filed petitions before the Supreme Court claiming that the RBI and its former Chairman Urjit Patel had “willfully and deliberately” disobeyed the apex court’s landmark direction to the Reserve Bank of India to disclose complete information including related documents from RBI on the imposition of fines on some banks for violating rules. He had also sought the list of banks and the default for which show-cause notices were issued. The Supreme Court, in Jayanti Lal Misra case, had in 2015 held that RBI should take rigid action against those banks and financial institutions which have been indulging in “disreputable business practices” and said RBI cannot withhold information on defaulters and other issues covered under the RTI Act. 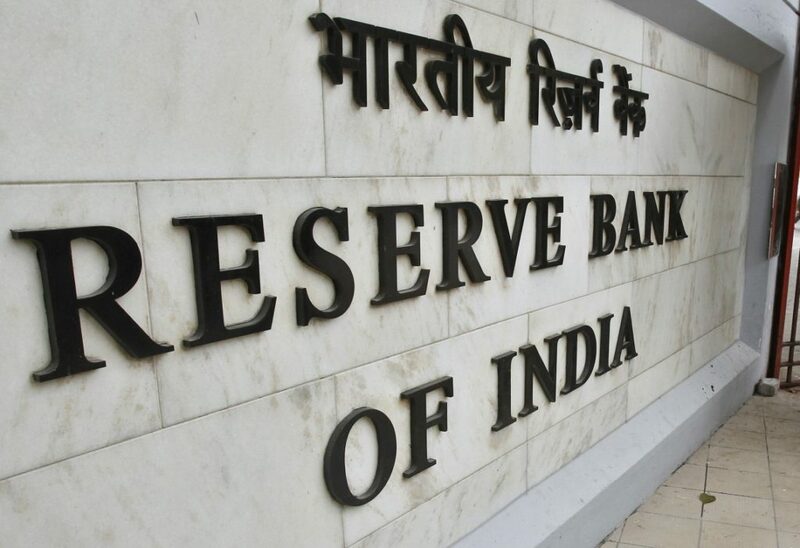 It had further clarified that RBI cannot withhold information under the “guise” of confidence or trust with financial institutions and is accountable to provide information sought by the general public. Surprisingly, despite the apex court’s judgement for disclosure of such information, the RBI had issued a “Disclosure Policy” under which it has listed certain information as being exempted from being disclosed of the RTI Act. The RBI had refused to disclose such information on the grounds of economic interest and holding such information in fiduciary relationship with these individual banks. “Such reason is in direct contempt with this court’s judgment. The information titles which are in contempt belong to Department of Banking Regulation, Banking Supervision, Cooperative Banking Regulation/Department of Cooperative Banking Supervision and Consumer Education and Protection Department. The petitioners claimed: “This exempted information under the policy were held to be not exempted by the Supreme Court. Thus, this exemption leads to contempt of this court’s order”. The Supreme Court issued a notice for contempt of court. Published originally on 2 April 2019.